Hotels in South Yorkshire (part of West Riding) are listed below. The largest towns in South Yorkshire are Sheffield, Barnsley, Doncaster and Rotherham and The Travellers Guide has a good selection of hotels, guest houses and bed & breakfast accommodation in and near most of these. If you are planning a family holiday or weekend break we are sure you will find some great hotels in South Yorkshire whatever your budget. Please view our hotel offers page for the latest "early booking", "free night" and "dinner, bed and breakfast" special offers for a range of hotels in South Yorkshire and in the rest of England. South Yorkshire has plenty of tourist attractions which make great family days out. If you are staying at a hotel near Sheffield then you might like to visit Sheffield's Magna Science Adventure Centre, the impressive multi award-winning Winter Garden in Sheffield town centre, Sheffield Cathedral and Iron forge at Wortley Top. Tourist attractions near Doncaster include Yorkshire Wildlife Park, Doncaster Racecourse, Conisborough Castle and Baxter Gate (shopping). If you like walking holidays then the Trans Pennine Trail across the South Yorkshire Pennines is popular with hikers. The main airports for flights to South Yorkshire are Leeds Bradford Airport (LBA) and Robin Hood Doncaster Sheffield Airport (DSA). Jurys inn sheffield is situated in the heart of the city/within walking distance of the main shopping districts/theatres and nightlife. 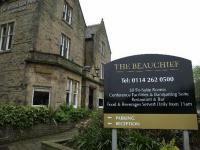 the hotel is also a perfect base to visit surrounding areas such as the peak district and the derbyshire dales. jurys inn sheffield is also a perfect location for both the business and leisure guest. Providing an excellent base for business and leisure guests visiting Rotherham, Sheffield or Doncaster, the hotel offers an efficient, reliable and professional service with a real emphasis on value. One mile from Rotherham town centre and 15 minutes' drive from Sheffield, Carlton Park Hotel offers an indoor pool with a gym. All rooms include a 32-inch flat-screen TV with a DVD player. Wi-Fi and parking are free, and smoking rooms are available. Surrounded by ancient woodland, the 17th century stone façade belies the modern interior of the elegant Tankersley Manor Hotel and Spa, which is located within eight miles of Barnsley and Meadow Hall Shopping Centre. Manchester International Airport is situated 41 miles away, approximately an hour by car. Hotel Features. 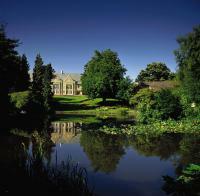 Tankersley Manor Hotel and Spa has an elegant, modern interior which retains many original features.